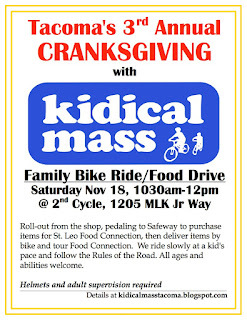 Kidical Mass Tacoma: November 2017: 3rd Annual Cranksgiving Ride! November 2017: 3rd Annual Cranksgiving Ride! 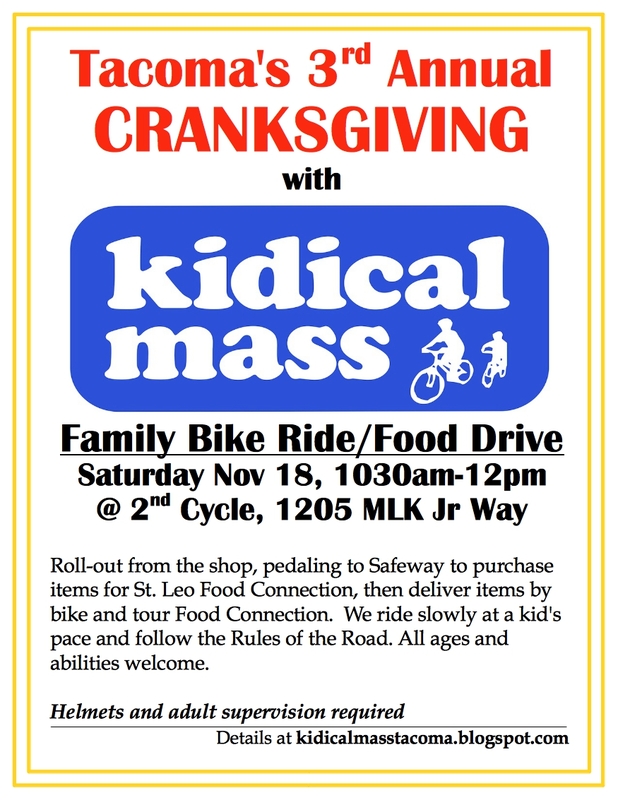 Join us for our 3rd Annual Cranksgiving family bike ride through Hilltop benefiting the St. Leo Food Connection! We'll roll-out on Saturday November 18, 2017, at 10:30 a.m. from 2nd Cycle Community Cycle Center in Tacoma (1205 MLK Jr Way). 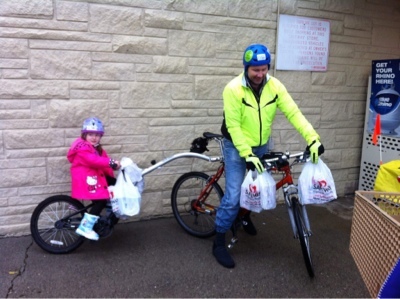 We'll pedal a mile or so to the Hilltop Safeway for a chance to try our hand at family shopping by bicycle. Riders will be asked to purchase a few items that will be donated to St. Leo Food Connection. Be sure to bring along some way to haul your food items on your bike - backpack, basket, trailer, etc. As always, we will be riding in the street and following the Rules of the Road. For this ride, younger riders with push bikes or training wheels can take a shortcut and ride directly to Safeway along the sidewalk. All children must be accompanied by an adult.